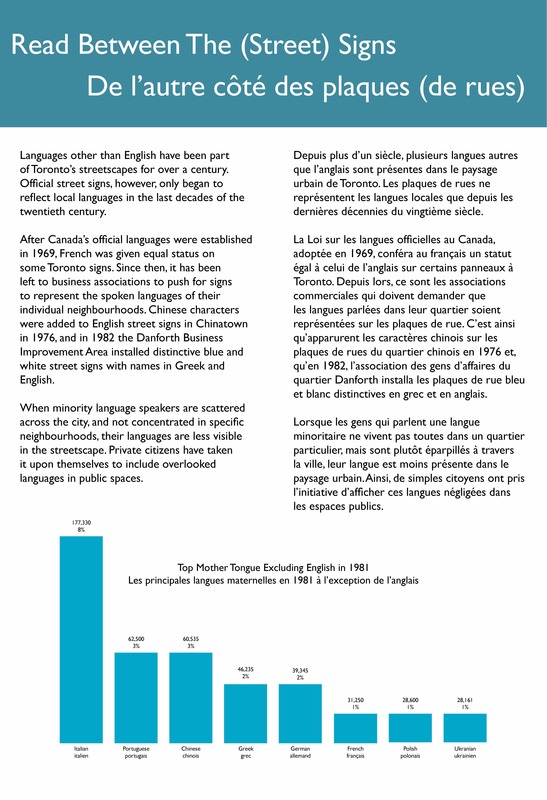 Toronto’s diverse languages shape our city’s streets. 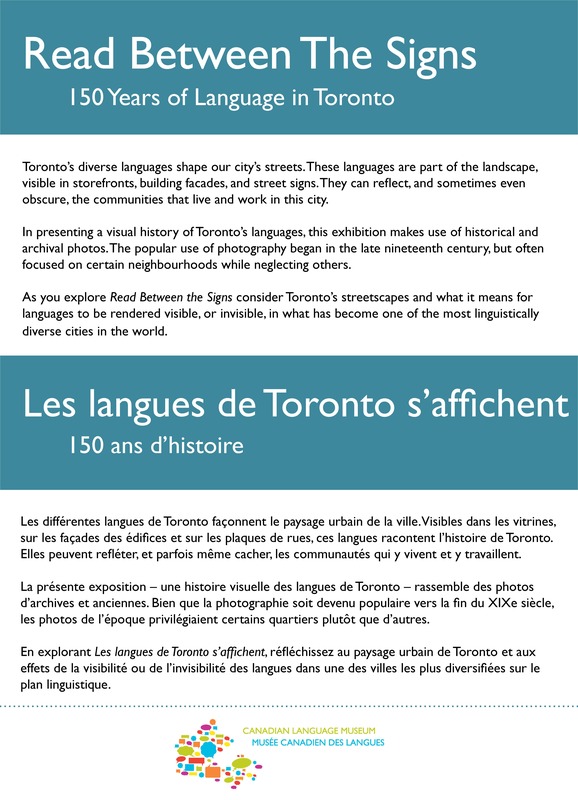 These languages are part of the landscape, visible in storefronts, building facades, and street signs. 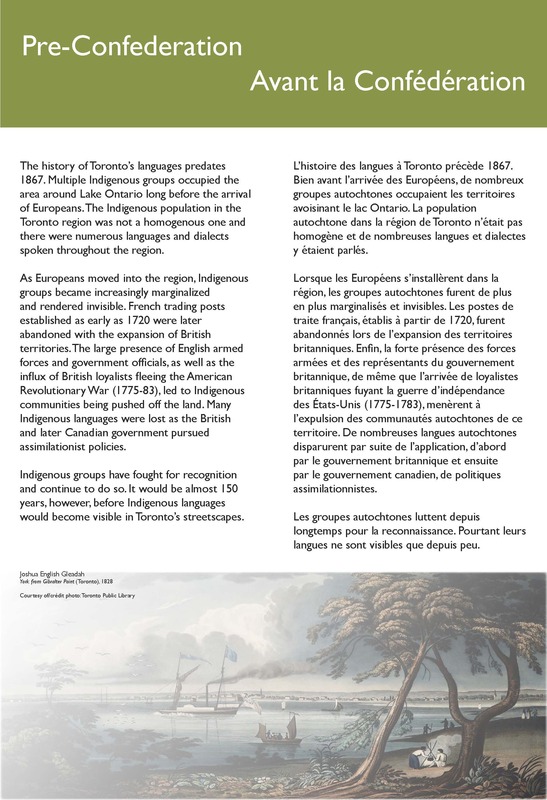 They can reflect, and sometimes even obscure, the communities that live and work in this city. 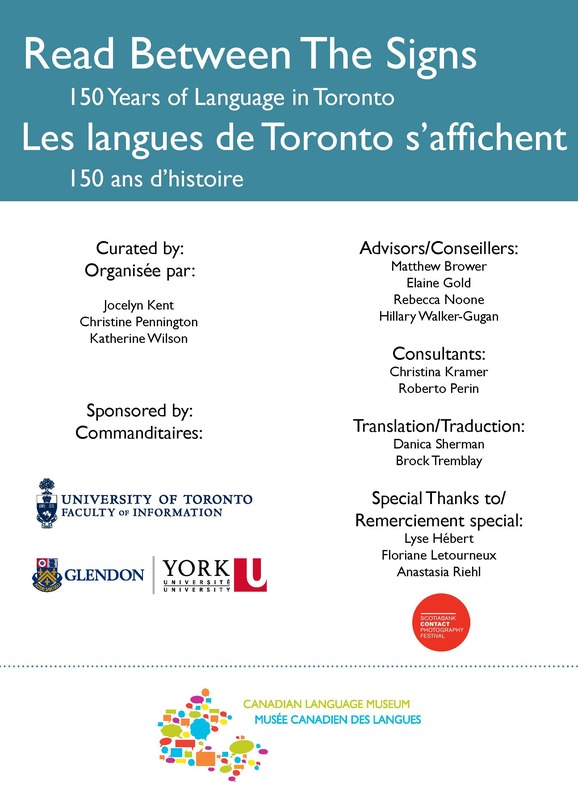 In presenting a visual history of Toronto’s languages, this exhibition makes use of archival and contemporary photos.